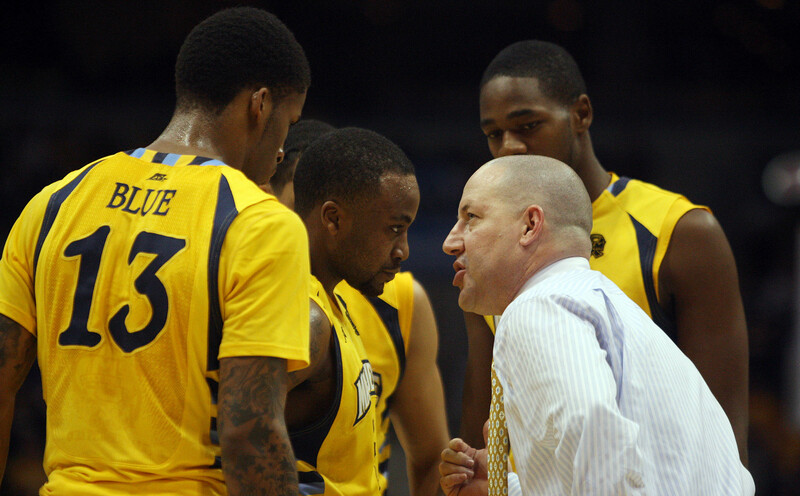 This is Part 3 of an exclusive five-part series documenting how Marquette head coach Buzz Williams has grown since he took over the helm in 2008. Buzz Williams has a relationship with every one of his players that has made Marquette a unique place to play the last six seasons. For some, Williams is a father they never had. For others, he’s the constant voice in their ear making sure their schoolwork is completed and their eligibility remains intact. For a select few, he’s the reason they’ll suit up for an NBA team this season, living out their childhood dream because they followed Williams’ instruction. But for every player that gives Williams his commitment as a high school senior or junior-college transfer, Marquette’s head coach can be a self-described “monster” whose top priority is to push each one of those players past their breaking point to prove that when the lights come on, they’re ready to put the Golden Eagles in the best position to win. Beyond the trips to Madison Square Garden, the Jordan brand jump suits and sneakers and hero status on campus, there’s a daily dogfight Williams has no choice but to put his players through. It’s who he is, and it’s who he’ll always be. If players can deal with that kind of attitude, they’ll be part of a top-25, Big East contender that makes the NCAA Tournament every year and has a chance to play deep into March. If they can’t, they have two choices: find a new program or fight through the daily rigors Williams has and transform into the kind of player their head coach knows they can become. It’s difficult, to say the least, and even may be too much to ask of 18- and 19-year-old kids, but Williams won’t budge because he doesn’t know any other way. His method is his method, and his method wins basketball games. That’s what happened on Sept. 3. Instead of taking pictures with his four children on the first day of school, Williams oversaw and ran individual workouts with specific groups of players. He kicked every group out of the practice gym, had a revised schedule printed up and reran those individual workouts later that night when players were done with their respective study sessions and book club meetings, also Williams-led. Marquette has its fair share of blue-collar athletes who needed a mini-iron fist to get them to Marquette, but that doesn’t change the way Williams sees his players. No matter the path a player took to arrive at Marquette, almost every time they were the top player at their respective previous stop. Not everyone walks onto Marquette’s campus with the work ethic of a Jimmy Butler. And not everyone is willing to immediately embrace Williams’ system like Chris Otule. And that’s Williams’ goal: get those players to eventually buy into his system with tough love, honesty and a “monster” attitude when it comes time to work. It’s hard, but it’s harder to win 147 games, a Big East regular-season championship, three straight Sweet 16 appearances and an Elite Eight berth in six seasons — including one year as Tom Crean’s assistant. It’s not easy for Williams to act this way towards kids he loves unconditionally, but he knows it’s what’s going to add the aforementioned numbers and, as Williams tells those kids, reach their individual goals. Earlier in the month Williams had a conversation with his wife, Corey, about the strenuous task of being so difficult on his players. Corey asked if perhaps her husband could “half-way ease” into the work he does with his team, taking a more laid back approach that may help those who haven’t fully bought in to what Williams is trying to sell. “Getting dressed in my closet, I completely understand what you’re saying,” he told his wife. “I go in there this morning and I say, ‘Good morning. How’s everybody doing?’ I shake everybody’s hand and pray. It takes a certain brand of player to agree to play for Williams, and sometimes it doesn’t work out. The last six seasons Marquette has had players leave the program for one reason or another, and it’s safe to say that at least a few of those decided to go elsewhere because they couldn’t deal with the daily structured chaos Williams puts on his players through to see if they’re ready to handle it when the games begin. But at the exact same time, Williams’ structure is also complete with an unending commitment and affection for every player that steps on campus. It’s not uncommon — in fact, it’s becoming status quo — for players to speak fondly of the unique relationship Williams has with every one of his players. Each of them know that if they buy into the monster, they also get the man, the second (or only) father figure, who will do everything he can to ensure their success, both as basketball players and as college students and adults preparing for life “after the ball stops bouncing,” as multiple players have recalled in interviews with Paint Touches. The Golden Eagles are known for their tough brand of basketball and its abundance of switchables, but inside the Marquette “circle” — more Buzz language — it’s a family-first environment that requires two things: a daily commitment for the players to meet Williams’ expectations, and for Williams to meet the players’ expectations. It’s not easy for Williams to act as the “bad cop” when he needs to be; it’s just how he’s programmed. He’s not a drill sergeant — though “Boot Camp” may warrant such consideration — but he knows what it takes to be successful. No one understands how much Williams asks of his players more than he does, meaning the last thing he’d do is not put in that same kind of effort in pushing them to the extreme. Most of his players could have chosen another school; they chose Marquette and they chose Williams because they knew his demanding personality would yield success. It’s wild, but his results tell the story. He’s a monster, but a compassionate and caring one at that. 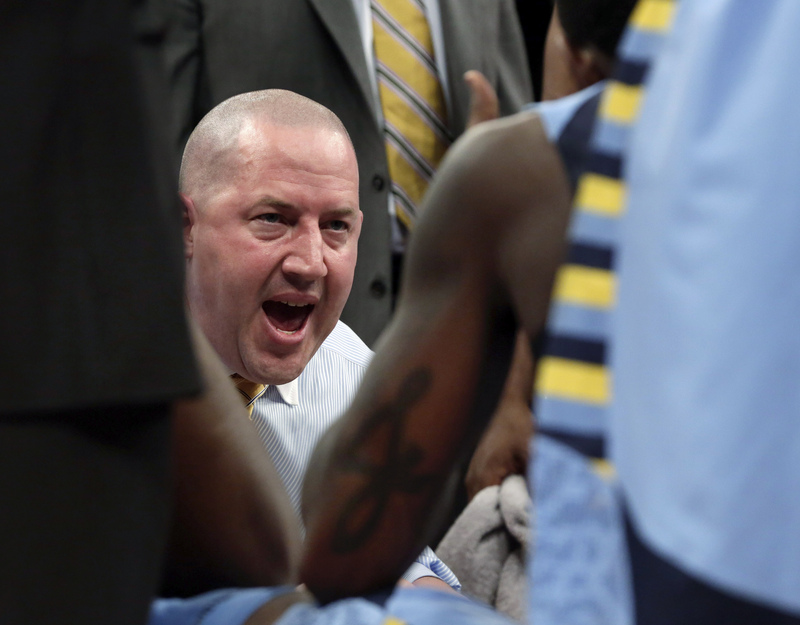 This is the third of an exclusive five-part series chronicling the growth of Marquette head coach Buzz Williams. Each Monday we’ll share a new part of his journey. Andrei Greska contributed to this story. 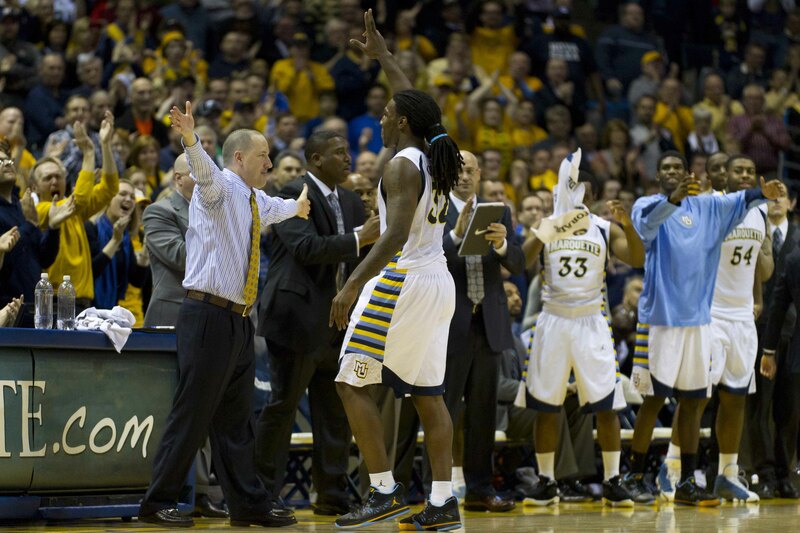 ← Is Marquette a top-20 program?